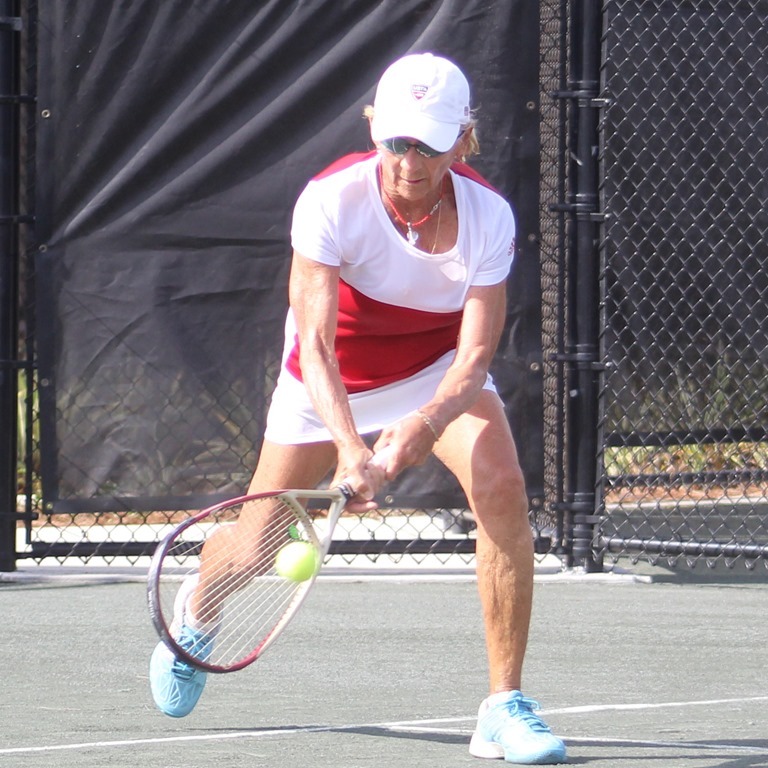 The USA Women’s 70 team, led by captain Brenda Carter, upset top seeded and defending champions Great Britain on a steamy hot Day 1 of the 2017 ITF Super Senior World Team Championships. 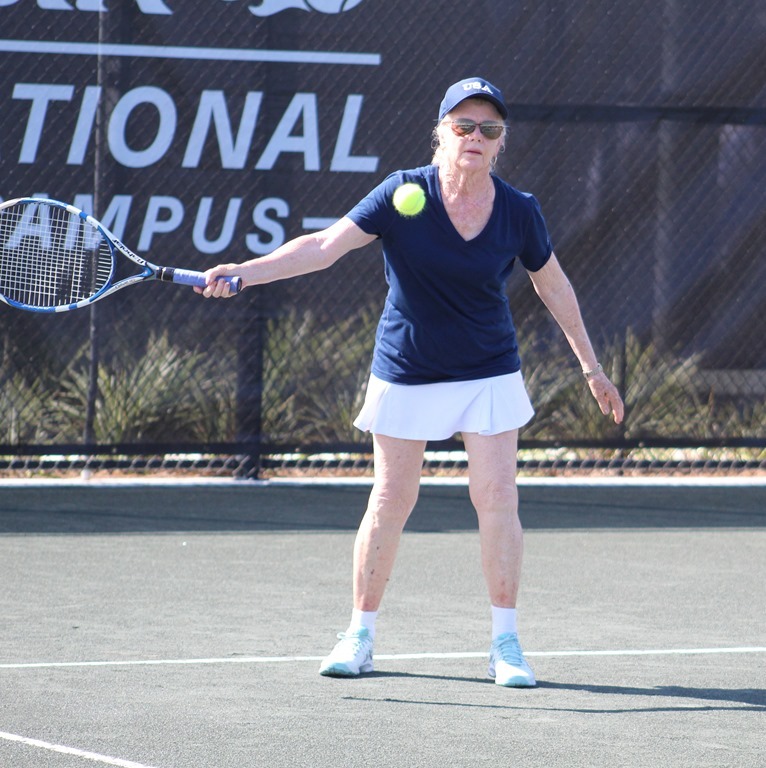 Carol Clay won a bruising first set at #2 singles 76 and an easier set 2 to set the stage for the #1 singles. Carter also won a lengthy first set against her very hot (temperature wise) opponent before sealing the deal in straight sets. Leslie Pixley/Sue Kimball won the doubles in 3 sets (lots of lobs in that one). Also in the 70s, RSA had to rally from a point down to beat Sweden 2/1, with Petro Krueger taking the singles and doubles points. In contrast, the second seeded USA Kitty Godfree Cup (65) cruised past Belgium. 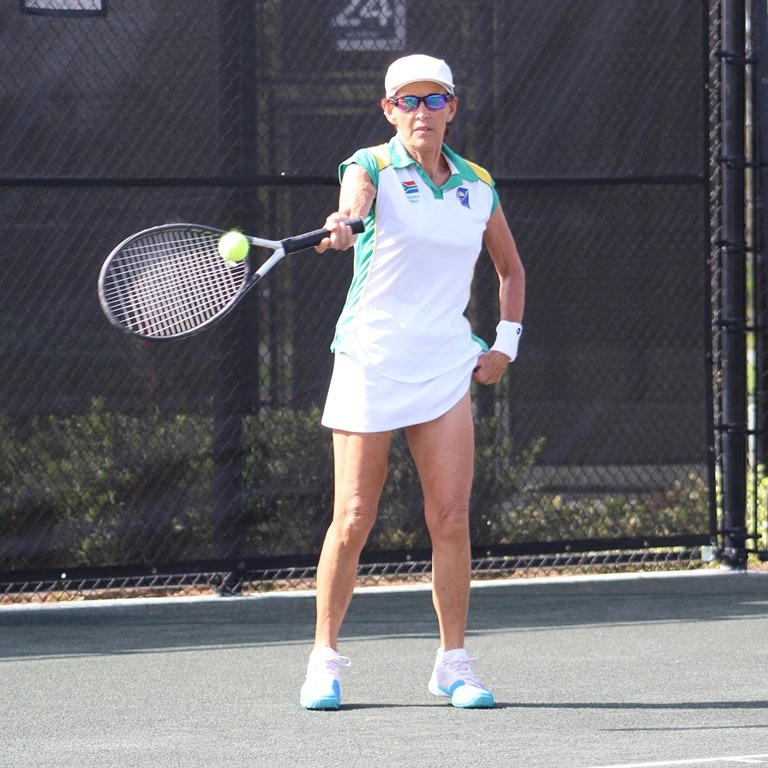 The USA has two members of last year’s victorious Alice Marble Cup team (W60), Wendy McColskey at #2 and Tina Karwasky at #1, both of whom won efficiently, Vicky McEvoy made her Cup debut in the 65s and teamed with Molly Hahn to win the doubles. The top seeded Queens Cup team won 3/0 against Canada led by Cathie Anderson at #2 and Char Hillebrand at #1. 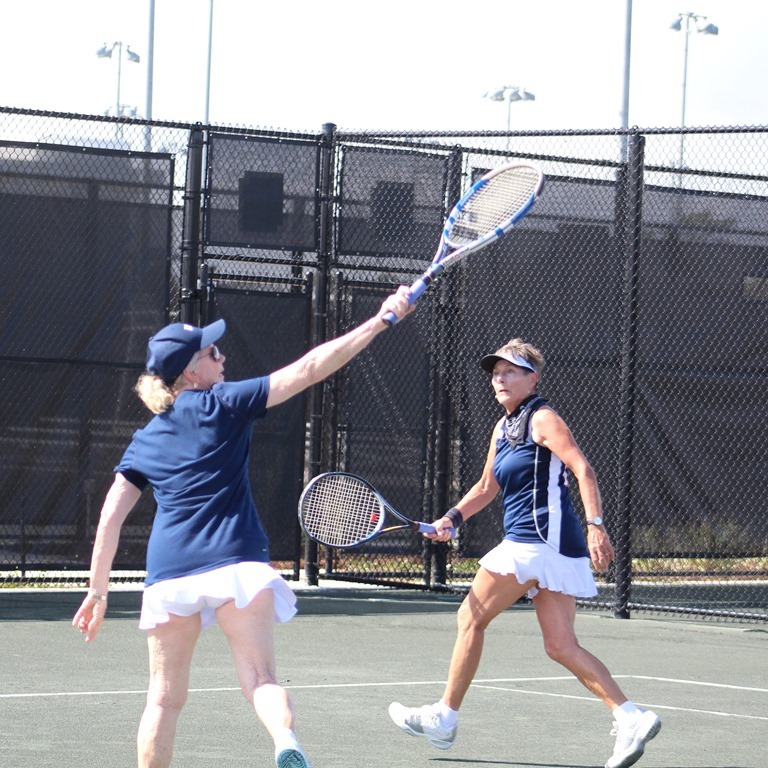 Suella Steel (captain) and Susanne Clark won the doubles point. Dori DeVries won at #2 and Roz King at #1 in the Doris Hart Cup (against France) before Carol Wood/Burnett Herrick took the doubles point. USA is the top seed and defending champion. The Men’s 65, led by Larry Turville at #1 and Dave Sivertson at #2 beat Argentina 3/0. Lenny Wofford/Paul Wulf won the doubles. The men’s 65 are the top seeds. Austria was on the verge of upsetting France when the rain, thunder and lightning commenced. Austria was up a match and will be serving up a set and 5/4 40-30 2nd serve when play resumes tomorrow. The men’s 70 took on Sweden. Seeded 5, they beat Sweden 3/0. 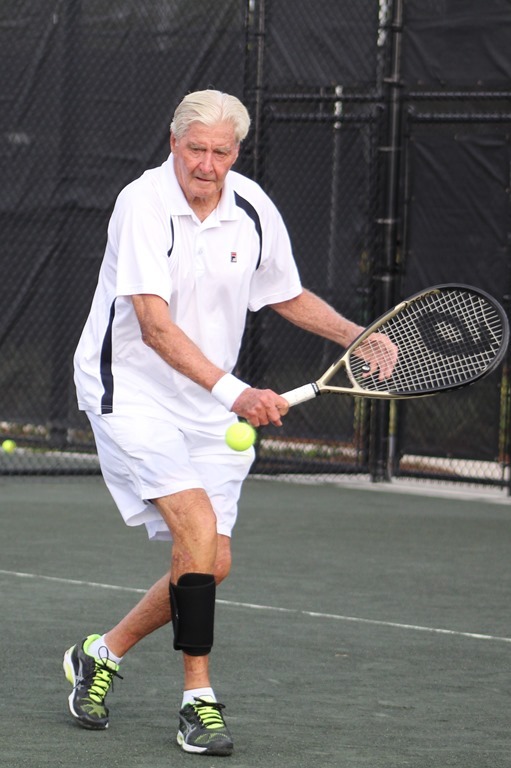 Jimmy Parker won at #1 singles. In the debut men’s 85, USA easily beat Argentina 3/0. 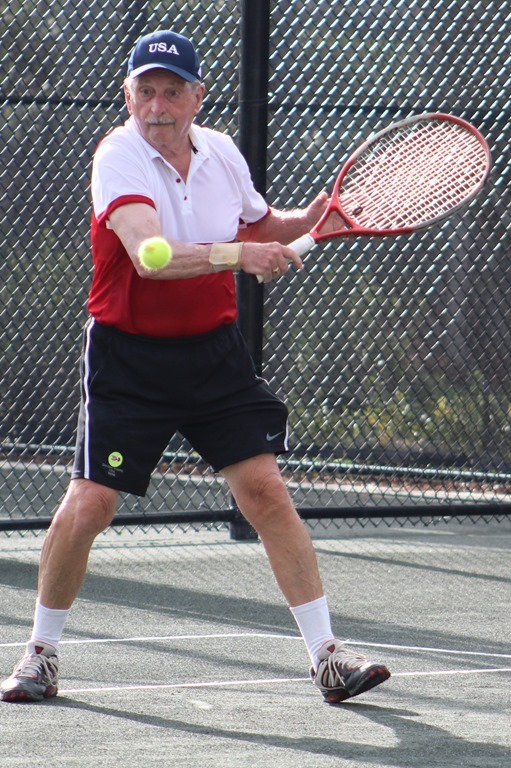 John Powless and George MCCabe (at #2) won the doubles; Joe Russell/Clem Hopp took the doubles point.